Microsoft released SCCM Configmgr Upgrade Assessment Tool that provides administrative users with information that they can use to determine if the computers that are managed by System Center Configuration Manager can run Windows 7, Windows 8 or Windows 10. Before you install this tool,you must have the following applications/software's to be in place . 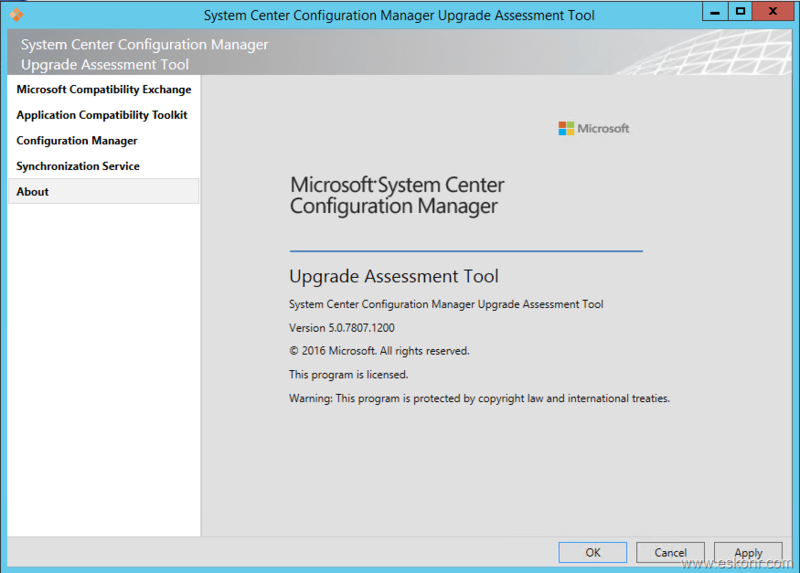 2 Responses to "SCCM Configmgr Upgrade Assessment Tool Available"
Hope you are doing good. I have a query on this solution just wanted to see if you have any inputs on this. We have the upgrade readiness solution implemented. However, we are having some issues with the data that we get from OMS while crosschecking with the application inventory from SCCM. If you can provide the information, can you please let us know how the number of applications data is collected from client devices and are there any possible cases that the application inventory from SCCM cannot match the data from Upgrade readiness solution. in SCCM ,there are different SQL views of which ,each information comes from many ways like software inventory,hardware inventory,asset intelligence. Based on the report you are talking ,it varies. If you look at V_GS_View ,it is hardware inventory .